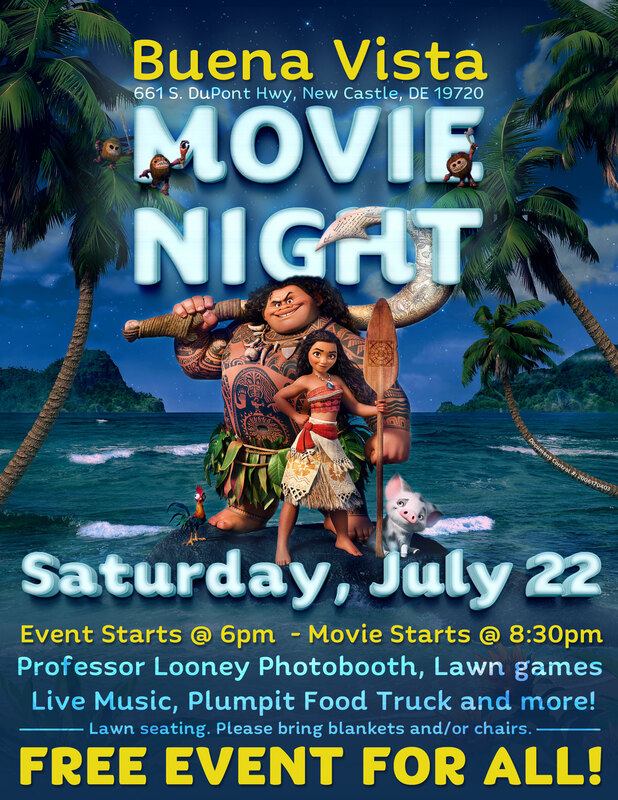 (DOVER, Del.—July 18, 2017)—One of Delaware’s most historic estates will host an outdoor screening of the Disney film “Moana” on Saturday, July 22, 2017. 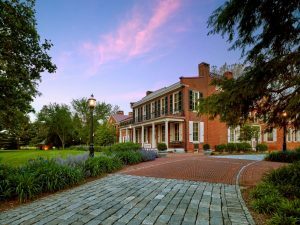 The event will take place on the lawn of the Buena Vista mansion located at 661 S. Dupont Highway (Route 13), in New Castle, Del. Visitors are invited to bring blankets and chairs or they may sit directly on the grass. Between 6 and 8:30 p.m., activities will include lawn games, live music and the Professor Looney Photo Booth. Food and beverages will be available from the Plum Pit food truck. Screening of the film begins at 8:30 p.m. Admission to Buena Vista Movie Night on the Lawn is free and open to the public. In the event of inclement weather, the event will be cancelled and rescheduled to a later date. For notice of cancellation, or for questions, call 302-323-4430, or visit https://www.facebook.com/BuenaVistaConferenceCenter. “Moana” is a 2016 computer animated, musical-adventure film created by Walt Disney Pictures. The film tells the story of Moana, the strong-willed daughter of a chief of a Polynesian tribe, who is chosen by the ocean itself to reunite a mystical relic with a goddess. When a blight strikes her island, Moana sets sail in search of Maui, a legendary demigod, in the hope of saving her people. The main section of the Buena Vista mansion was built between 1845 and 1847 by John M. Clayton, United States secretary of state from 1849 to 1850 under presidents Taylor and Fillmore, and United States senator from 1829 to 1836, 1845 to 1849, and 1853 until his death in 1856. The home later became the residence of C. Douglass Buck, governor of Delaware from 1929 to 1937 and United States senator from 1942 to 1948. Buena Vista and its grounds were donated to the state by the Buck family in 1965 and now serve as a conference center administered by the Delaware Division of Historical and Cultural Affairs.